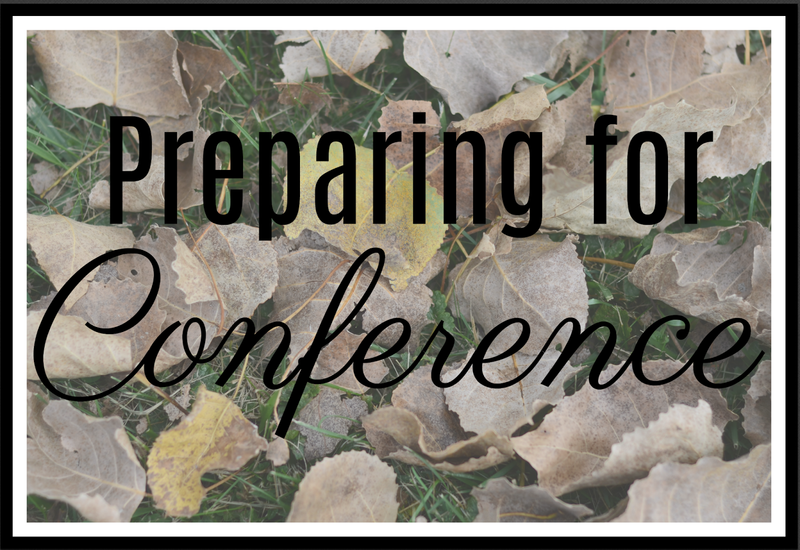 I recently read an article about preparing our families and children for General Conference. I picked out some of my favorite ideas and recorded them here (you can see the full text of the article here). Be excited! Even very small children can pick up on excitement, especially something that is consistently talked about. “The week before conference, I spend a little time every day talking to my five-year-old daughter about how exciting it will be to get to hear the prophet talk to us." Additional activities between or after Conference can help kids recognize the blessings of Conference. "We would have a family picnic in the backyard between sessions, or on the Monday after conference we’d go out for ice cream and talk about the talks that stood out to us the most." Set a pattern of remembering. To set general conference apart as a special event, Brother and Sister Beverley designated the family home evening following conference as “Quiz Night,” when each member of the family would ask three questions about the talks, the reports, or things they observed. It quickly became tradition, and even years later, as the Beverleys’ sons and daughters left home to serve missions and attend college, the children insisted on continuing to share Quiz Night questions via letters and e-mail. What do you do to prepare for Conference? I would love to hear!